An A35 and A45 will join the lineup of models available next year. 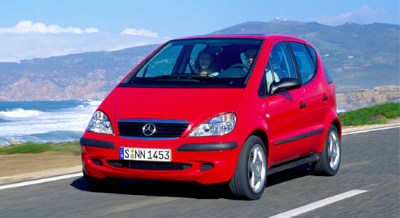 About 21 years ago, the first generation of the MercedesBenz A-Class was launched. With a tendency to fall over during sudden cornering, it was not deemed a good car. But it still enjoyed good sales. Of the close to six million Mercedes-Benz compact cars that have found homes worldwide since, three million were A-Class models. 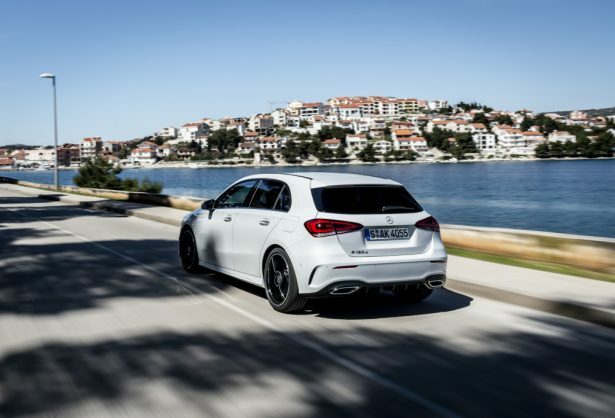 Fast forward to 2018, the Stuttgart-based manufacturer is introducing the fourth generation A-Class and I travelled to the Mother City to drive it. Designed from scratch, the new A-Class is spacious, boasts improved tech, driving dynamics and features a new set of engines and gearboxes. Starting with the numbers. The A-Class comes in two varients for now, the A200 and the A250. The A200 is powered by a four-cylinder 1 332cc engine with 130kW of power and 250Nm of torque, costing R499 000. The A250 is powered by a 1 991 cc four-cylinder turbo petrol with 165kW of power and 350Nm of torque, costing R593 300. Both versions feature a seven-Speed DCT gearbox – no manual transmission. If you would like one, which I doubt, it is available on request. Acceleration from 0-100 km/h are at 8.0 seconds for the A200 and 6.2 seconds for the A250 Sport. To save space, I will not go into detail describing the exterior of the new car since we have pictures. The interior has been redefined and feels premium. There is a standard 18 cm display, but you can order a 26 cm version if you wish to have the optional full navigation package that our test unit boasted. 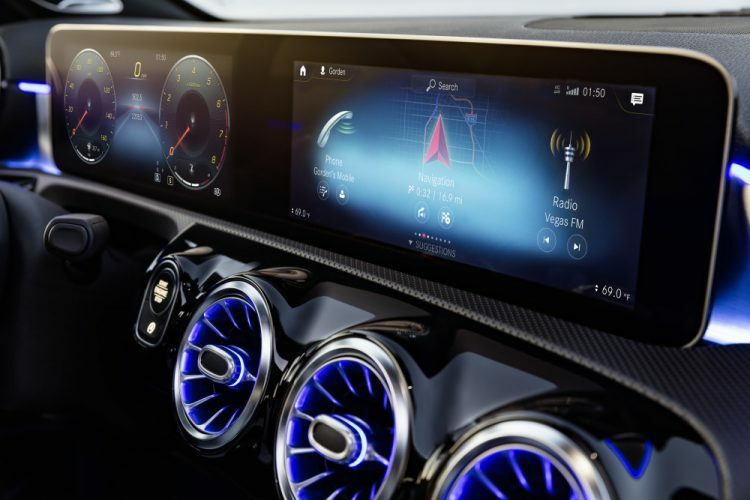 You also get a multifunctional steering wheel, head-up display, good sound system and the new Mercedes-Benz User Experience multimedia system. You can voice-activate interior functions of the car by simple saying “hey Mercedes”. Then, for example, you can command the car to play you a song, activate the navigation system or adjust the air conditioning. I tried to play around the system during the drive and it was a good experience though it often could not understand some commands. Inside, the new A-Class has grown in size and that resulted in an improved shoulder, elbow and headroom. Boot space is measured at 370 litres – 29 litres more than the outgoing model. The loading aperture is 20cm wider than before, and the luggage compartment floor is 11.5cm longer. On the outside, it has grown in length by 120 mm, 16 mm higher and 6 mm wider than its predecessor. Mercedes also managed to shave off 20 kg of mass. At the launch, I only got the chance to get behind the wheel of the A200. It delivers an impressive and quiet ride. The engine is nearly silent except when you put your foot down with intent. It is more than nippy enough for getting around town. Even if you spend most of your time out of town, it would still do the job. The 5.6 litres/100km fuel consumption is quite an attraction. The new A-class is not only quiet at highway speeds, it is also much more comfortable over road imperfections. Point it to some twisty roads and it delivers impressive grip, thanks to the standard comfort suspension with steel springs and Dynamic Select system. During cornering, the steering lets you position the car accurately, exactly where you want it. 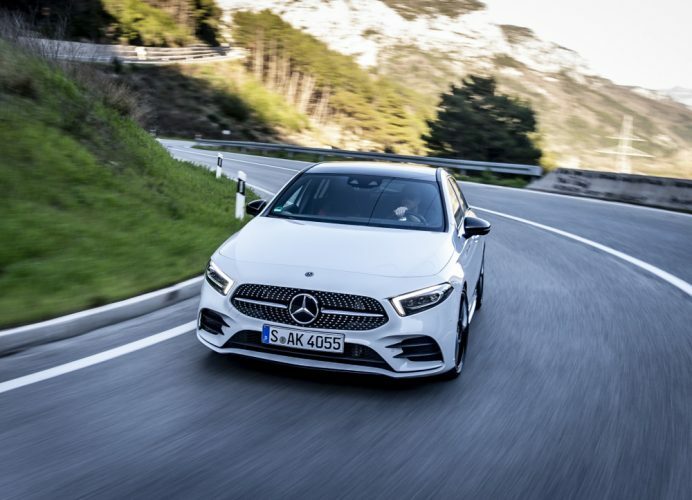 In terms of safety, the new A-Class comes with functions that are found in the other Mercedes-Benz luxury models such as real-time parking and semi-autonomous driving. You get extended Active Brake Assist as standard and an array of airbags. The diesel variant model is expected in South Africa in early 2019. 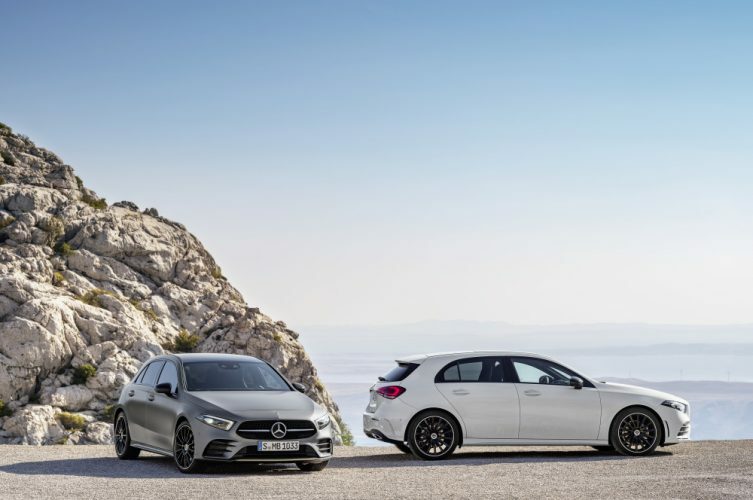 According to MercedesBenz SA, an A35 and A45 will also join the line-up next year.